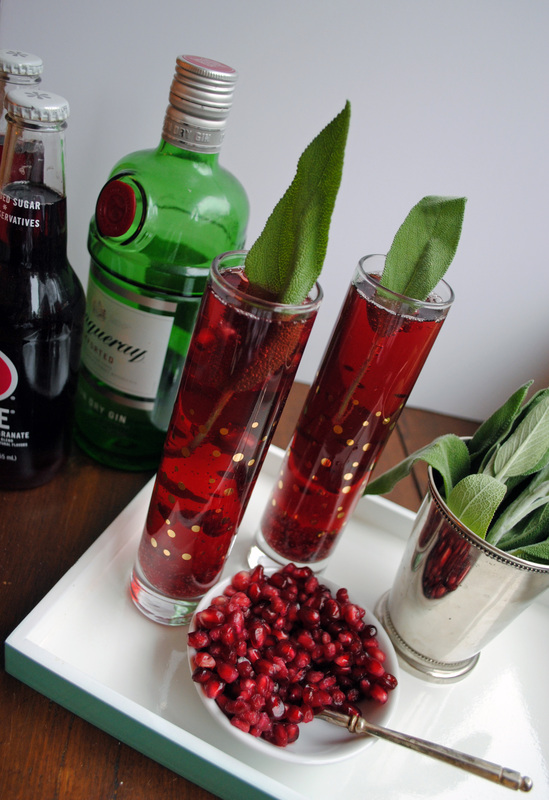 Christmas gets egg nog, New Year’s Eve gets a champagne cocktail — but what’s our go-to Thanksgiving drink? 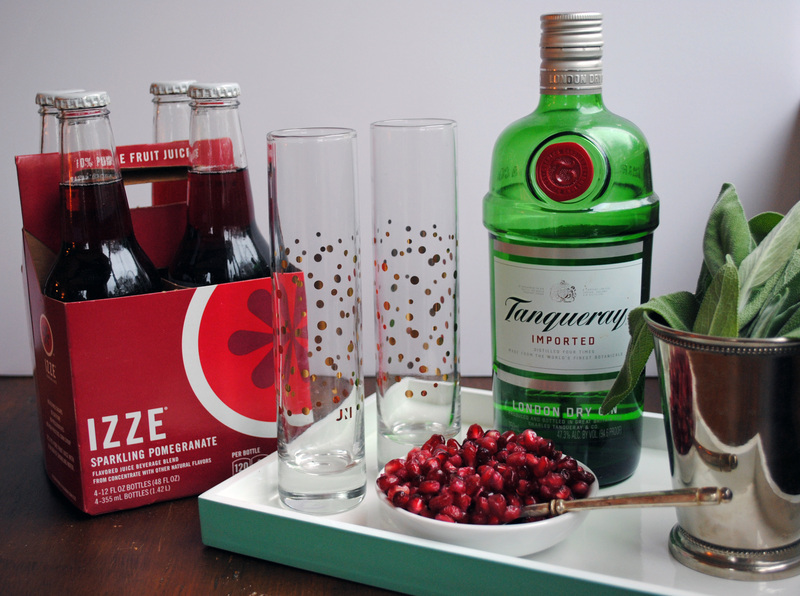 I’m all for mixing up cocktails at family Thanksgiving celebrations, and my friends-giving parties tend to have a few drinks flowing too. 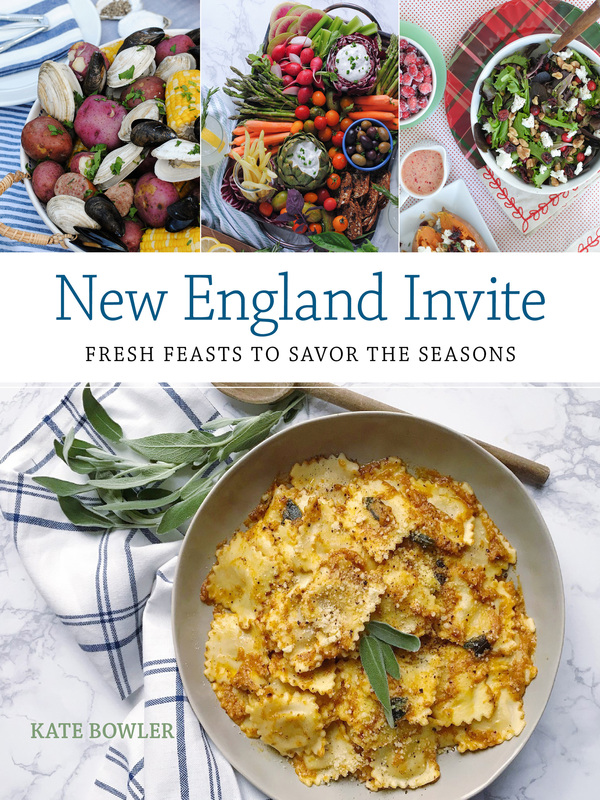 A holiday as delicious as Thanksgiving (my second favorite holiday, actually! carbs!) deserves one, don’t you think? 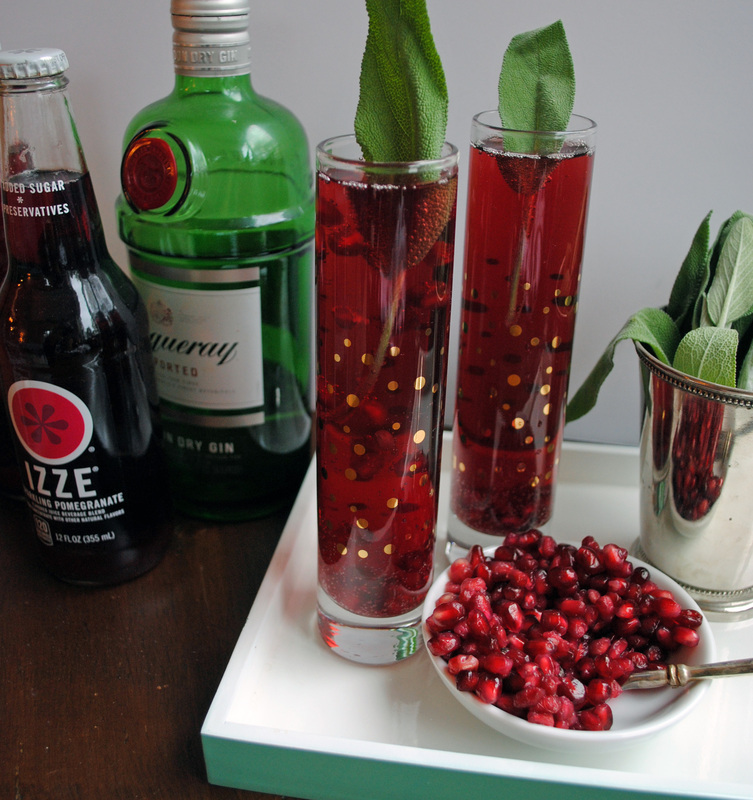 I started thinking this week about some of my favorite autumnal flavors that could make up a festive cocktail for friends-giving gatherings and a marrying of pomegranate (fresh seeds + IZZE Sparkling Pomegranate), sage leaves, and the herby flavor of gin felt like the perfect combination when served in festive flutes. Check out the full recipe below! 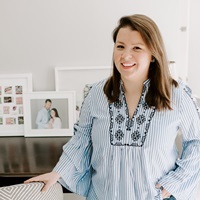 For more Friends-giving entertaining ideas, check out IZZE’s interactive instagram quiz to find out your friends-giving entertaining style. Road Snacks. Memphis + Mississippi Adventures. 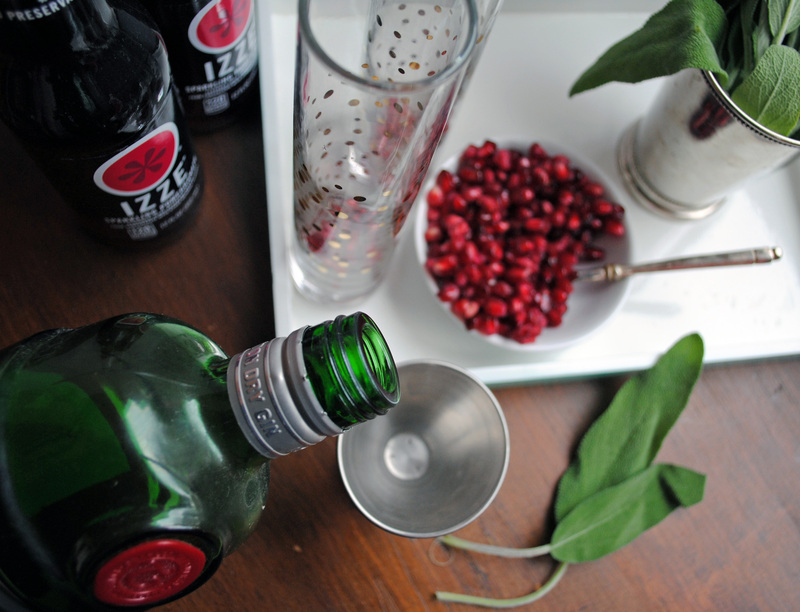 6 Responses to "Pomegranate Sage Fizz." Thanks Kerri! They’re my favorite! I love gin, and Izze soda, and you. All around, giant win.